Barbara: Every person on this Earth was created by this entire billions of years, the Universe in person, and the internal interior of our love beyond just our immediate family and so forth is a love that starts expanding out there. And when it expands out there there’s nowhere for it to stop. And it also goes backward to the origins of creation. And even more, Marc, it goes the fact we’re one tiny little planet in the Universe of billions of planet and billions of galaxies. So if you want to really get into outrageous love, you have to allow yourself to experience all of this. Then, when I have a loving feeling towards somebody and it’s outrageous love, it’s actually almost overwhelmingly strong and beautiful and it powers me to do more, be more, be more love more and I’m eighty-five years old. Now you might think that’s old. I used to think eighty-five sounded like dead. Marc: You’re not looking too dead to me. What do you think? Barbara: Not too dead. You know what I think is doing it? Outrageous love. Because outrageous love is so energizing, so energetic, so empowering to the person feeling it and when you see you have no limits to the amount of love you want to give, there’s no limit to it, then you get to grow into what we’re calling a new human. Marc: This is so wildly ecstatic and so important. The idea that Barbara’s describing, that you’re describing Love that we can awaken as outrageous love. And that actually makes us not older, how do you say it? Newer every day. Marc: Welcome to week six of The Universe: A Love Story, Evolutionary Love podcasts with the inestimably beautiful Barbara Marx Hubbard. So we’re in week six and we are talking about evolutionary love and we’re talking about evolution having a direction and that direction is a movement towards more and more love. Another way to say it would be evolution moves towards higher and higher levels of goodness, truth, and beauty. Now that’s not because there’s a puppeteer pulling the strings, there’s an inherent creativity in the Cosmos and that inherent creativity Stuart Kauffman talks about an inherent, ceaseless creativity. Stuart Kauffman is one of the complexity chaos theorist Cosmologists; really one of the brilliant thinkers writing today. Alfred North Whitehead talks about the creative advance of novelty – newness. There’s this inherent movement in the Cosmos towards more and more creativity, towards more and more goodness, towards more and more truth. We know more and more. There’s more and more goodness. We take care of each other more and more or at least we have the capacity to and that for the most part we did. And when we don’t, we actually notice that’s a problem more and more. So two thousand years ago if you lost X amount of people in a battle or whatever that’s just what happens. It’s not a problem. Today the individual dignity of every human life is now becoming across more and more of the planet. Not all of it, but across more and more of the planet given because the more a person’s consciousness evolves, the more the individual dignity of the human being matters and then what we begin to realize that it’s a tragedy when we lose lives. So that’s evolution awakening to itself. We get to realize there’s tragedy and it’s a process of evolution moving towards more goodness, more truth, more beauty, more choice, more freedom. That’s the trajectory of evolution and to track it we’ve got to look over the entire story. We’ve got to become aware of the evolutionary story to actually begin to see oh that’s what happened. It’s kind of like in our lives when you look back over the last thirty years you begin to see the patterns and as long as you’re stuck in today you can’t see any patterns. Barbara: I’d like to just make a…. in here. In order to understand the direction of evolution you need evolutionary eyes. Now evolutionary eyes is you happen to stand up somewhat of an overview and imagine the origin of creation, those first three seconds, and see it as an evolutionary process or spiral from billions of years going right to you. And then but you can’t do it if you have a just short historical time frame. You have to get the billions of years to catch this direction and most people don’t have evolutionary eyes. And I think one of the things that can come out of this is gaining an overview perspective on our story. Otherwise, you won’t see it. Marc: So we begin, that’s really what you were describing, Barbara, to live in an evolutionary context. Barbara: That’s right. And that means you have a ways of seeing and understanding reality as having taken these billions of years to get to right where we are. 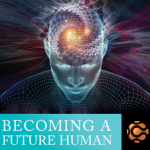 Marc: We live in an evolutionary context in the beginning to have an evolutionary relationship to life. And we begin to realize that the movement of love, the movement towards more and more care, more and more goodness, more and more truth, more and more beauty and more and more creativity… action becomes awake in us. And we become aware of the fact that we can choose truth and we can choose beauty and we can choose goodness and actually evolution itself is awakening in us. 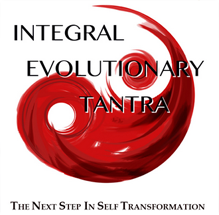 And we become the trajectory of evolution awakening to itself and if we awake to more love, then evolutionary love is driving the process forward as us. Barbara: That’s correct. So when I feel more love in myself and I then sense that I’m getting that from the trajectory of evolution itself, that love in me expands because I feel courageous. You call it outrageous love because the whole story is outrageous. The origin of the Universe is outrageous. Marc: Well let’s go to outrageous. Barbara: You want to go to us outrageous love. Marc: Let’s go to outrageous. Outrageous is the new awesome. Outrageous is the new extraordinary. We’ve used the word evolutionary love up until now, we’re going to introduce a new term. Outrageous love. And here’s the statement. We live in a world of outrageous pain. The only response to outrageous pain is outrageous love. What do we mean by outrageous love? We know what we mean by outrageous pain. Right? Seventeen thousand children dying every day of starvation or starvation-related diseases. Thirty-five million people in the world today in sexual and labor trade slavery. And the list goes on and on. So we live in a world of outrageous pain. The only response to outrageous pain is outrageous love. So before we talk about how outrageous love responds to outrageous pain, ok? Let’s talk about what outrageous love is. What’s outrageous love? Outrageous love it what we’ve been talking about all along. Evolutionary love. And evolutionary love, outrageous love isn’t ordinary love. Ordinary love means that small self me sees you and you seem to form a similar image to my early caretakers and so I feel kind of this instinctive arousal because I want to complete some unfinished business with my early caretakers so I feel like wow I love you. And you’re going to take care of me the way my early caretakers did. So I fall in love with you, I’m all aroused and we finally get together and it dies off fairly quickly. it’s the human experience of a small cell seeking protection. even when it lasts beyond infatuation and falling in love, you only really have this experience of ordinary love for a very small group of people. Now, those small group of people are beautiful and falling in love is awesome, but that’s a very limited understanding of love. What we’ve been talking about this entire conversation is outrageous love, evolutionary love, and outrageous love is what Dante talked about when he talked about a love that moves the sun and the stars. Outrageous love is what Tagore talked about when he said love is not mere sentiment, it’s not mere human sentiment, it’s the heart of [0:08:00] existence itself. So everything we’ve talked about in the first five podcasts, The Universe: A Love Story, Evolutionary Love podcasts is not about ordinary love. It’s about outrageous love. Now last sentence and then Barbara takes the next step. That doesn’t mean that outrageous love is only moving the evolutionary process. What does it matter to me about that? Why is this relevant? Why is this compelling? Why is this critical to know? Because when I awaken, I realize that outrageous love is awakening in me. So I can access in my relationships, in my job, in my work, in my creativity, in my life I can access not just ordinary love which comes and goes and it’s limited. I can actually access in my Self the evolutionary impulse awakening in me which is outrageous love awakening in me which is infinitely more powerful than any ordinary love could possibly give me. We’re going to talk more about it, but you get the distinction? So you can either awaken as outrageous love, the same love that moves the sun and the stars, makes Barbara and Marc love each other; not because we’re being drawn and allured to each other, but the same force that caused quarks to come together. Oh my Goddess. Barbara: Well. Yes. Outrageous love in some deep way is the recognition that the entire story of creation from the origin of the Universe to us sitting here is such an extraordinary miracle. It is such an amazing, miraculous creation that when I really ground that into myself as it being a love story then what’s been happening to me actually in my life is the feeling that I am the Universe in person loving. It’s an amazing feeling. Barbara: That is because if I am the Universe in person as everyone is. Every person on this Earth was created by this entire billions of years, the Universe in person, and the internal interior of our love beyond just our immediate family and so forth is a love that starts expanding out there. And when it expands out there there’s nowhere for it to stop. And it also goes backward to the origins of creation. And even more Marc, it goes the fact we’re one tiny little planet in the Universe of billions of planet and billions of galaxies. Barbara: Newer every day because the Universe is evolving through each of us. Marc: Now watch for a second here. This is critical, ok? So this is a huge understanding. We’re going to take it slow. So outrageous love is the love that moves the sun and the stars. One. Two, the trajectory of evolution is the movement towards higher and higher levels of emergence, of novelty. A plant is new, it’s beyond a multi-cellular organism. An early animal is new, is beyond a plant. A mammal with breathing lungs is new beyond an animal, a human being walking erect and being able to reflect on herself or himself is new. And then within the human world we grow up to higher and higher levels of consciousness and each level (and we’ll talk about these levels later on) this is all newness. So the movement of evolutionary love, the movement of outrageous love is a movement to higher and higher levels of newness. Now if in my life I experience love as an ordinary love, it’s a human Ego emotion of the separate Self struggling to comfort itself and survive. That emotion dies away very fast. It recedes, and I just get older. But if I awaken as outrageous love because what’s actually moving in me is the same force that moves evolution and the evolutionary impulse, the ecstatic impulse of outrageous love awakens in me, then I actually get newer. Barbara: You get newer, you get outrageous. Marc: You get more outrageous. You get more outrageous, you get more alive, you get more creative, you get wiser, and you begin to actually create a completely different life. Barbara: There is a quality that’s quite amazing which I’m calling regeneration. And I had an experience the other day I was talking about the fact of outrageous love creates a sense that you’re getting newer. It’s really not even regeneration. But you feel… you don’t feel tired. You feel full of life, you feel excited. And so there was a cell biologist listening to me talk and it was at the Agape, at Michael Beckwith’s church and he said when you use the word regeneration and outrageous love I could tell your cells got it and curled. His image was that my cells were curling with some kind of vibration because from an interior position I was feeling regeneration and outrageous love as a potent force and my cells were hearing this, were responding to this, and that’s really what happens. So ordinary love, beautiful, but it’s not going to take you home. Outrageous love, the love that moves the sun and the stars, that’s the love that all the poets wrote about. Does that mean that outrageous love is not human? Well it is human. It is a human experience when the human being awakens as outrageous love. As long as I don’t awaken as outrageous love, I remain asleep. I remain separate from all that is, I remain separate from evolution. [0:16:00] I’m trying to live my small narrow narcissistic life and I’m not aware that evolution is awakening in me and that I am evolution in person, I am evolution coming awake as me, and I connect myself to larger evolutionary context. When that happens I connect into outrageous love. Wow. Barbara: And outrageous love creates newness. Marc: And outrageous love creates newness. Next week. That was week six. 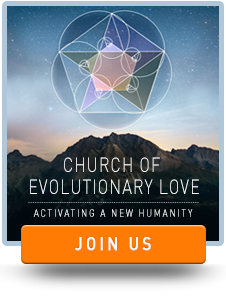 Week six, Outrageous Love, The Universe: A Love Story, Evolutionary Love podcasts. Next week, week seven we go deeper into the principles of outrageous love, how it plays in our life, and how it creates politics of outrageous love.